Sometimes we want to know how to time the injection pump of a tractor engine when we have not got a manual to tell us how to do it. 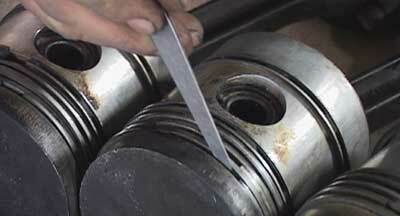 Fortunately there is another method called “spill cut off point timing” which we can use to time the injection pump. 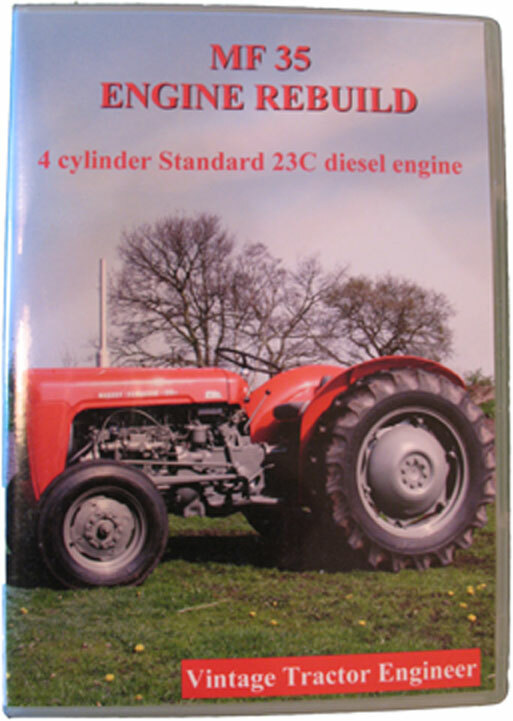 The procedure described below is for the 4 cylinder 23C engine as fitted to the Massey Ferguson 35, but the general process is the same for any engine. To time the injection pump when you don’t know any of the marks etc, you need to have the injection pump so that it is connected to the fuel supply and bled off to the injection pump. The 4 pipes to the injectors want to be upright, but not connected to the injectors. The drive to the pump does not want to be connected so that you can turn it by hand. Then turn the injection pump in the correct direction of rotation until the injector pipes all squirt fuel out in turn. Then observing number 1 injection pipe (the pipe that connects to the cylinder closest to the radiator), turn the injection pump until fuel comes out of number 1 pipe and then just does stop flowing (it may take a few revolutions of the pump until you are happy with the position). This is the spill cut-off point for number 1 cylinder. Look at the rotor with the letters on (without moving the pump drive) and see where/which letter is at the marker/groove (on a circlip??). That point will then be the reference to use for setting the injection timing. Next go back to the procedure in the DVD and apply your own observation (where we used the ‘G’ mark). Next check that the injection pipes are arranged correctly. Bear in mind that the direction of rotation of the injection pump, the required firing order (1,3,4,2) and the consequential arrangement of the injection pipes to facilitate this. ie. That when you turn the injection pump by hand that the fuel comes out of the 4 pipes in the order of 1,3,4,2. Then connect the injector pipes and try it. (Once it is running!!!!!!! !, try small adjustmens on the pump mounting flange slide to get improvements in running. Hi could you confirm the engine timing on a BD144 engine please. In my case with the engine at TDC P1 and the pump, idle and crank gears aligned the crank and cam gears markings are just short of alignment by about one tooth although the timing marks are correctly aligned to each other! I would have expected all gears to be aligned at TDC am I correct? If I am correct it looks like the crank to cam mark is in the wrong position! is this likely? Can you help me set the timing on my injection pump ? On my 1982 allis chalmers 5015 diesel tractor . It turn on but it is on high it is a manual pump . I disassembled it so it is not stuck any help we be useful . 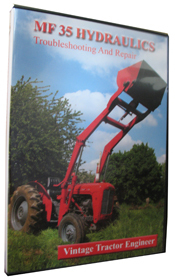 Can you advise how to set the timing on an injection pump on a massey ferguson 245 diesel tractor? It is a 3-cylinder Perkins, I have no manual at all to go by. Any help would be appreciated. I am trying to find out what might be causing my Fergi 35, A3-152 to spit out thin black liquid (oil I think)from the exhaust manifold, the valves and sleaves seem ok and there doesn`t appear to be much wear on the piston liners, haven`t gone any further yet. she doesn`t smoke and is a great starter with high oil pressure. any suggestions ? Sugest it would be wise for a compression test and a pump test-with injectors in case the tips need doing, possible you knocked them whilst putting them in.